Home » Thinking about Visiting a Display Home? Think Again! Many new home builders Mandurah build display homes in the display villages of new private land estates as a way of showcasing their product. 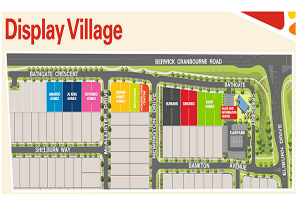 A display village is essentially a street (or several streets) of brand new homes where prospective new home buyers can go to view and ‘try on’ multiple house designs from numerous different builders mandurah; they usually have a building salesperson available to answer any questions you may have about the home design, building materials, price and so on. As there are often many new estates throughout each city at a particular point in time, this means that builders may have numerous Display homes Perth available for viewing at specified times. Obviously it costs a lot of money to build display homes and maintain them until eventually they are sold off when the estate no longer needs the display village. Generally it is only the bigger building companies that can afford to allocate significant funds to the construction and maintenance of display homes and therefore people searching for a builder will only be exposed to a small percentage of design options that are available to them. As one of Perth’s smaller, more family-oriented building companies Great Living Homes don’t have display homes; this is one way we can keep our overhead costs low and it’s also a way we can remain competitive in quoting on homes for our clients. We rely heavily on the great rapport and personal relationships we build with our clients and on their word-of-mouth for self-promotion and many of our clients will also open their homes to our prospective buyers so we can showcase real examples of our work – there is no better advertising than word-of-mouth! Something else to consider when you are searching for your new home builders Mandurah is that display homes are often fitted out with top of the range fixtures and appliances because builders know that the appearance of the display home is what will draw in the potential customers. You should make a point of asking the salesperson what the price is for the design on display as opposed to the standard model of the same design (with budget fixtures). A friend of mine recently did this in a display home that caught her eye and the difference in price was a staggering $200,000! After comparing the base model to the price of the display home for sale my friend concluded that she only liked the design as she saw it in the display village, but the price was well out of her budget and she felt as though she had wasted hours walking through display homes only to be disappointed with what she could afford. Don’t forget to investigate the smaller builders on your home-buying journey! It is often the small builders who provide the best customer service, who will go out of their way to design a home to your personal tastes and instead of getting a home that has been slapped together in a hurry, you are more likely to get a top quality finish with attention paid to the finer details.